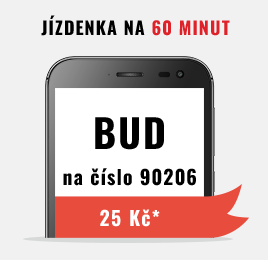 Sms Ticket | Dopravní podnik města České Budějovice, a.s.
*SMS ticket price is 25 CZK or 70 CZK (+ SMS price according to the tariff of your operator). 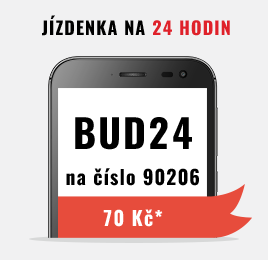 If the passenger intends to purchase multiple SMS tickets from one mobile device (more persons), they must send the appropriate number of orders and then receive the same number of SMS tickets. Within 2 minutes, the passenger will receive a duplicate SMS ticket. In order to verify the validity of an SMS mobile ticket, the passenger is required to communicate the verification code or to provide the authorised person with the mobile communication device from which the SMS mobile ticket has been purchased to verify all received data of this ticket. The passenger is obliged to provide all possible cooperation during the ticket inspection to check the validity of the SMS mobile ticket. The mobile communication device must be presented so that the necessary data can be clearly read from the device’s display. If the passenger fails to comply with the conditions of an SMS mobile ticket and its inspection, if the SMS mobile ticket is not found on the basis of the assigned verification code, the passenger is considered to be a passenger without a valid travel document. If an SMS ticket is not received or its delivery is delayed, please, contact us on Customer Centre. The passenger will be notified of the outcome of the complaint within the statutory time limit. According to Act No. 127/2005 on Electronic Communications, the complaint for the provided service can be claimed without undue delay, but no later than two months from the date of the defective service, otherwise the right to claim will cease to exist.